September 10,1916, oil on canvas, 45.5 x 33.5 cm. This lecture will introduce Kishida Ryūsei (1891-1929) who is one of the most prominent modern artists in Japan. Ryūsei was born in Japan and learned to paint in his youth. He developed his initial expressive style from post-impressionists paintings. In later years, however, his style radically changed with a strong draw to realism. Taking inspirations from reproductions of classical paintings by European masters, such as Dürer and Rembrandt, and traditional Japanese images found in woodblock prints and paintings, Ryûsei continued to deepen his mode of practice. 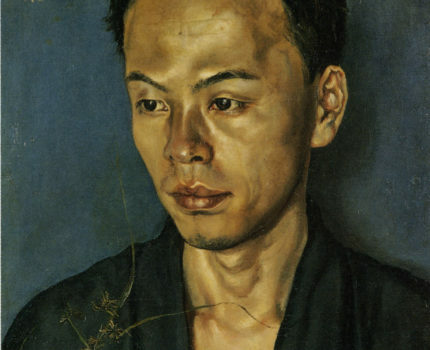 The lecture will focus on one of Ryūsei’s most prominent realist paintings, The Portrait, which he painted in 1916.